The Cordera Community is a 625 acre, master-planned community that is expected to be completed in 2016. 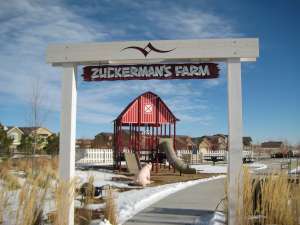 A total of 1,400 homes are going to be built in this subdivision of Colorado Springs. 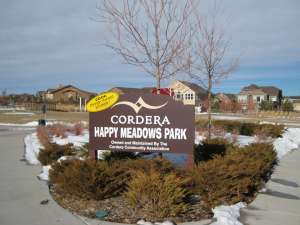 The Cordera community can be seen as you are driving along Powers Blvd., but it is best to see the community up close if you really want to get a feel for it! 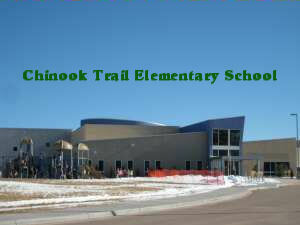 Cordera is situated in School District 20 with the new Chinook Trail Elementary School located right in the Cordera community. The new school currently accommodates students from K-5 and may possibly expand to grades K-8. The elementary school focuses on International Studies and children have the opportunity to learn Mandarin Chinese starting in Kindergarten. New home prices in the area start in the $300’s and the local builders include: Campbell Homes, Keller Homes, Saddletree Homes, Symphony Homes, and Vantage Homes. Each home is 100% Energy Star Certified and offers 360° views of unique architecture (not just the front of the home). 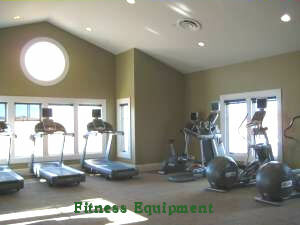 Lots vary in size and can be between 6,000-15,000 square feet. Check out what each builder has to offer. 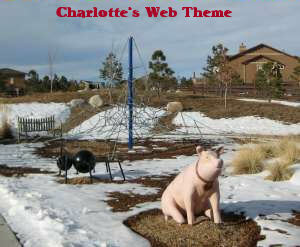 Campbell Homes is currently offering free landscaping (front and backyard) to home buyers in Colorado Springs. So what are a few unique aspects of the Cordera Community? Every home is located on a cul-de-sac street which offers a quieter and safer environment for homeowners. 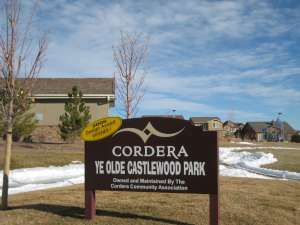 Cordera has lower property taxes when compared to the Wolf Ranch and Cumbre Vista communities. Don’t like hearing garbage trucks in your neighborhood every day? Then you will like Cordera because trash for every resident is picked up only one time a week, on Friday. Trash service is also included in the monthly HOA dues of $100. 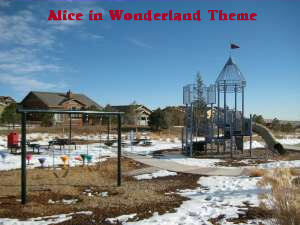 storybook-themed parks and 4.5 miles of trails for their residents. play, walk, jog, and bike! Center and on the Grand Lawn for gatherings. 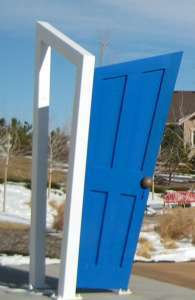 HOA dues are $100 per month for residents. 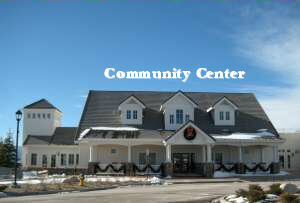 It includes trash service and use of the Community Center. 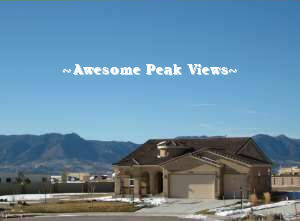 There are amazing Pikes Peak views in this area of Colorado Springs! the main gathering area during seasonal events in the community. 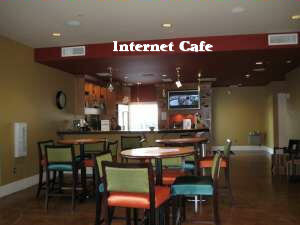 Internet Café after their workout. If you are interested in purchasing a new home in Cordera, contact your Colorado Springs Real Estate Agent, Patricia Beck for more information.